Band of Horses brings acoustic fun to the State Theatre of Ithaca. In the enchanting Sage Chapel at Cornell University, a packed house silences its cellphones, ready to experience the captivating combination of the Cloud Chamber Orchestra and the silent film, “Grass: A Nation’s Battle for Life.” The event, sponsored by the Finger Lakes Environmental Film Festival and Cornell Cinema, was mesmerizing as viewers traveled through musical and visual worlds. “Black Pearl Sings” takes on race issues with a mix of theater and music. “Fires in the Mirror,” a play about race-relations following the 1991 Brooklyn Riots, debuted at Ithaca College Main Stage Theater on Oct. 3. 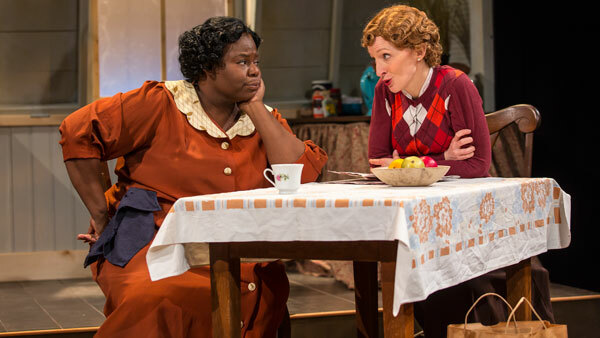 The Kitchen Theatre’s production of “Heroes” entertains with great set-design and costuming.